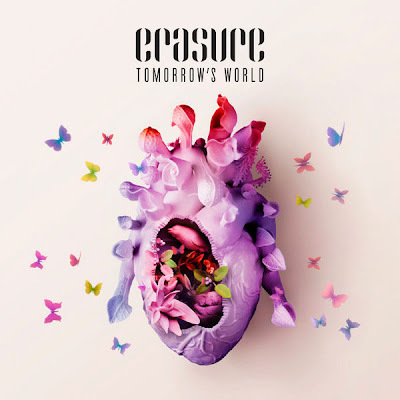 Erasure have released their fourteenth studio album entitled 'Tomorrow's World' this Friday, September 30th. The album was written in New York, London, and at Vince Clarke's cabin studio in Maine, between January and June 2011 and it was produced by Frankmusik and mixed by Rob Orton, who has previously remixed other well-known electronic artists such as Lady Gaga and Pet Shop Boys. The first single is titled "When I Start To (Break It All Down)" and was released on 23 September 2011. Like all the previous records, this album is out on Mute Records.